1) Brand Awareness – Having a website that has higher rankings mean that more people will see the company name and become familiar with it. They recognize the name and logo and will be more likely to recall your company when needing a company for your specific niches services. A custom search engine marketing plan is your way of communicating your personal and professional image as well as the position of your company. When you develop a marketing strategy that includes SEO (Search Engine Optimization), you are helping your company by increasing your exposure to clients searching the web for the exact product that you offer without getting lost on the endless pages of a search engine. The higher your rankings are, the more people are going to see your website and company name and become familiar with it. If your website comes up frequently when someone is conducting a search on their search engine, the more times they come across your company name and website the better. At Alpha Web Marketing we will help you get your company and website where you would like it to be. 2) Increase Website Traffic = New Leads and Customers.- SEO (Search Engine Optimization) is one way to increase your websites traffic simply because it will be putting your website higher on the ranking scale, therefore more people are likely to click on it. We all know the closer a website is to the top of the search results, the more people enter the site. Obviously having more traffic on your website will directly lead to increasing business but generating new leads and customers. SEO helps place your product or services right in front of customers searching for exactly what you offer. Increasing website traffic can positively affect your website’s position on search engines and vice versa. This helps reinforce your status as a leader in your industry and interconnects with Brand Awareness as stated above. If you are ready to increase your website traffic, contact us today to get a free quote. 3) Produces More Sales – Search Engine Optimization and other marketing helps to drive targeted traffic to your website, this increases online sales. When you have a well planned out web marketing strategy, including SEO, this will develop a steady stream of qualified traffic to your website. These are people using search engines that are specifically looking for what you offer. USually people searching for your targeted services or products have a much higher conversion rate than do random searchers. Having an attractive and user friendly website as well as investing in website marketing strategy and using SEO will maximize your sales and increase your rankings. Your potential for growth considerably increases when you consider all these aspects together in your marketing plan and not just using these as single marketing strategies. 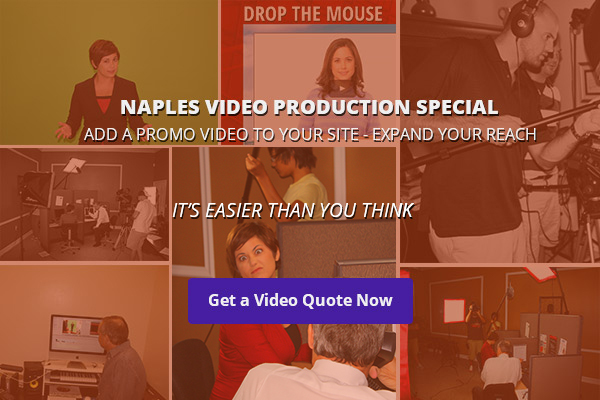 Here at Alpha Web Marketing we help business and product owners in Naples, FL use the power of their website, their verbal content, and marketing strategies such as SEO to increase their rankings on search engines, helping to bring them more quality business. 4) Long Term Cost Benefit – Search Engine Optimization, unlike Pay Per Click (PPC) does not charge you for traffic that your website generates. Meaning once you have achieved good rankings for a specific keyword you will not have to pay for the traffic that clicks your website link on the search engine. Although SEO may cost more upfront, with patience and perseverance, it is very cost effective long term. Our team of Web Marketing Specialists here at Alpha Web Marketing take an all encompassing approach to your marketing needs. We design a marketing plan specifically for your website uniqueness, niche and purpose, keeping your end goals in mind. The key to successful web marketing is good communication between client and SEO company and patience. 5) Your Competitors – If you are a small business or just launched your business, most people competing in your niche have bigger marketing budgets. Using search engines is a great level playing field for business or companies that have more time and perseverance than their larger competitors. As more and more websites are being created there are more possible results for a search. Website owners are recently realizing the importance of SEO and looking to professional web designers to provide services to enhance their web presence and organic rankings on search engines.Your competitors can change the rankings of your site just by ramping up their marketing. This could affect your position on the SERPs (Search Engine Results Page) as the competition aggressively markets their website. If you are looking to regain lost ground in your search engine rankings, looking into SEO is definitely a good first step. At Alpha Web Marketing, we are that company to provide you with all the web marketing needs you have to regain lost ground or even to just start out your marketing strategies correctly.